Urban Assault (aka Faust & Shortee) have been a powerhouse in the DJ/Production world for the last 16+ years, electrifying audiences on a global scale. Specializing in the grimy beats & filthy bass line genres of Dubstep, Drum & Bass, Drumstep and Electro House, this dynamic duo continues to awe masses worldwide both in the studio and on stage complete with live four turntable DJ trick sets scratched to perfection. Ranked as one of the top five turntablists in the world by SPIN Magazine, Faust released the first turntablist album in history, the critically lauded "Man Or Myth," and continues to push the boundaries of his production today in various genres. Shortee is acknowledged as one of the most diverse, technically skilled female DJs in the world, described as “The World’s Premier Female DJ” by the Grammy Foundation and named “Queen of the Scratch World” by DJ Times. Both were featured in the award-winning documentary “SCRATCH” (Palm Pictures), marking their historical contribution to the art of DJing and Turntablism. Together their solo & team albums have earned them critical acclaim in major publications like SPIN, URB, Remix, Knowledge, ATM, DJ Times, Rolling Stone etc., while their music is featured on networks such as MTV, NBC, CNN, HBO, ESPN and more. 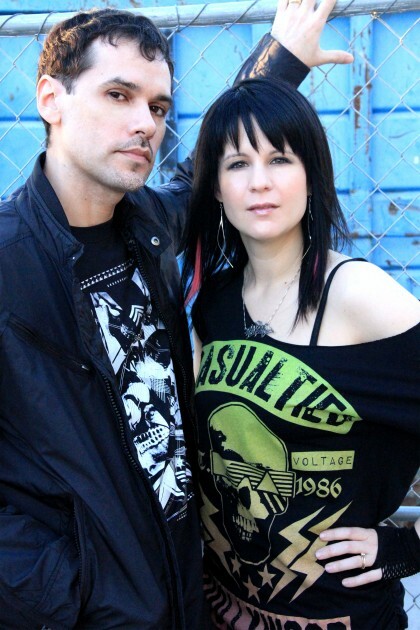 In addition to rocking stages globally, Urban Assault are constantly in the studio producing music for release on various record labels as well as their own imprints. They successfully run two multi-genre labels: Heavy Artillery Recordings (Drum & Bass / Breaks / House / Dubstep / Drumstep) and 5 Star Records (Hip Hop / Battle / DJ Tools). Their original tunes and remixes frequent the Top10 charts on the regular and some have held the #1 spot for weeks at a time. A few of their most popular Heavy Artillery EPs include “Scarface”, “Kid Dynomite”, “Lose Control” and “Dope” and their tune “Away” was nominated for the ‘Best Jungle/D&B track’ in the 2008 International Dance Music Awards. In addition, their infamous “Red Raider” EP, held the #1 spot on both Beatport & TrackItDown and was ranked as one of TrackItDown’s Top10 Drum & Bass releases of 2009, alongside such artists as Sub Focus, Deadmau5, Chase & Status, Noisia, DJ Fresh and The Prodigy, and it still continues to return to the charts time and time again today. Whether they appear as ‘Faust & Shortee’ or disguised as the grimy “Urban Assault”, the bass line is always front and center. Their ambitious schedule shows no signs of letting up as they continue to bang out killer beats in the studio and drop devastating bass on stages worldwide. "The TTXUSB turntables are hands down the most versatile and well rounded tables on the market today. The attention to detail and quality of features Numark has put into these decks will maximize any DJs creative potential!"